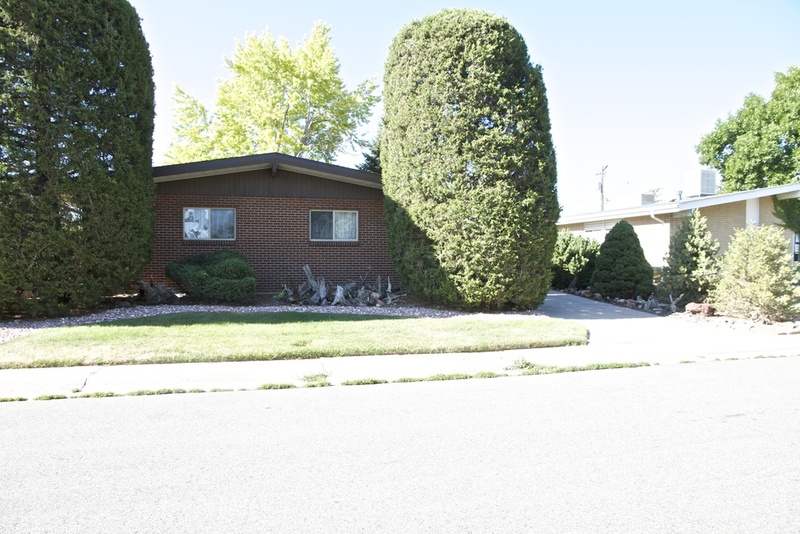 The facade of this home was really the worst part about it -- and the giant shrubs. With two tiny windows, the house had virtually no street appeal (it literally looked like the front was the back of the house!). However, both of the rooms in the front are bedrooms so, as usual, we were faced with a challenge -- we needed to add glass while still keeping the bedrooms private. We also wanted to be respectful of the vernacular architecture along the street which included tall vertical window "slots". Angelo rendered and sketched numerous ideas until we decided on one that we thought would work. 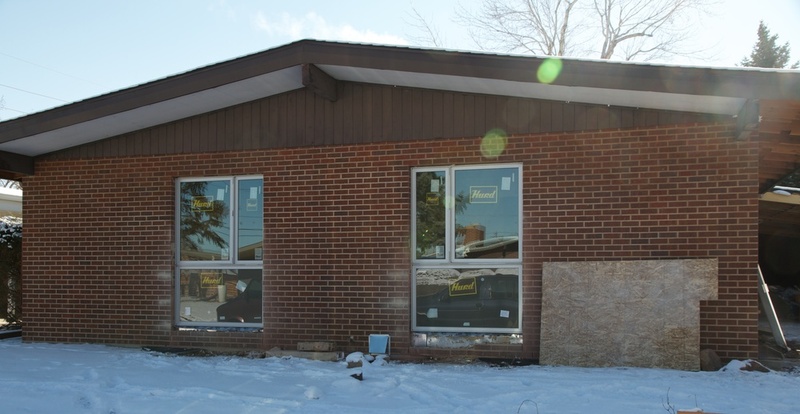 We chose aluminum clad windows with a clear anodized finish (Hurd) to give the house a more modern and refined look. Because we had to create egress windows for these bedrooms, a large operable window was required. We chose to expand the openings even more using opaque glass to retain privacy in the bedrooms, but also to give the facade some more verticality. At this point the facade is still incomplete - we will be adding horizontal cedar slats to the gable end, new soffits, accent lighting, landscaping, and we'll be painting the brick. Tune back for the complete picture in a few weeks.